Washington | Reuters — U.S. and Canadian negotiators pushed ahead in grinding talks to rescue the North American Free Trade Agreement on Thursday, but a few stubborn issues stood in the way of a deal, including dairy, protection for media companies, and how to solve future trade disputes. A U.S. source familiar with the discussions in Washington said it was still unclear whether the two sides could bridge their gaps or whether U.S. President Donald Trump will opt for a Mexico-only bilateral trade deal. Trump has set a deadline for a deal this week, prompting aides to U.S. Trade Representative Robert Lighthizer and Canadian Foreign Minister Chrystia Freeland to work late into the evening to find ways to move forward. “The atmosphere continues to be good. There is goodwill on both sides,” she said following a meeting with Lighthizer, adding that officials on both sides would continue with detailed discussions. She declined to discuss specific issues under negotiation. The Trump administration charges that Canada discriminates against its U.S. dairy exports. It also wants to end the Chapter 19 arbitration panels for resolving disputes over anti-dumping tariffs, something Canada has used to defend its lumber exports to the U.S., despite U.S. charges that Canadian lumber is unfairly subsidized. The third unresolved issue is Canada’s insistence that previous NAFTA cultural exemptions protecting its publishing and media companies from being acquired by U.S. companies be preserved, with Prime Minister Justin Trudeau this week saying this was important to Canada’s national sovereignty and identity. Trump has threatened to push ahead with a bilateral deal with Mexico, effectively killing the three-country NAFTA pact, which covers US$1.2 trillion in trade. The U.S. and Mexico reached an agreement on overhauling NAFTA at the beginning of last week, turning up the pressure on Canada to agree to new terms. 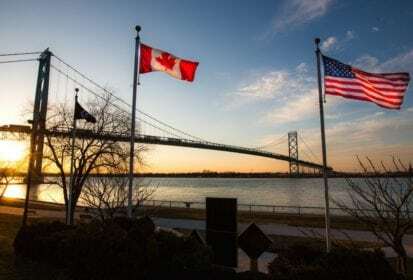 Trump said on Wednesday that he expected it to be clear whether there would be a deal to include Canada in a few days. The U.S.-Canadian talks resumed Wednesday after failing to reach a conclusion last Friday. Data released on Wednesday showed the U.S. trade deficit hit a five-month high of US$50 billion. The shortfall with Canada shot up 57.6 per cent. — Reporting for Reuters by Daina Beth Solomon and David Lawder; writing by David Ljunggren and David Chance; additional reporting by Chris Prentice in New York.